Sometimes in life we need to remind ourselves of the fundamentals of whatever we are striving to be successful with in order to get our ship back on course. With betting the biggest fundamental is value and the easiest way to make money from betting is to make your bets at odds that are better than starting price. And beat starting price when it is adjusted down for a true market IE the prices make up a 100% chance when all possible outcomes are added up. Starting price, especially these days with the betting exchange markets is an easy and reasonably reliable indicator of the true price/chance for any runner. And the easiest and most efficient way to do that these days is to beat Betfair SP. 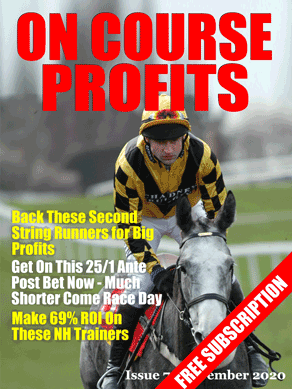 Betfair SP makes up to 100% and the prices are fair to both backers and layers. If you can beat the Betfair SP consistently then you will make a profit. There are tipping services that base their whole selection criteria around betting on horses that are showing signs that they will shorten in price from the morning bookie price to the starting price. Although that is a winning strategy in itself, a better strategy is to study form and make your own selections, determine your own prices and bet where the early prices are bigger than your assessment. These guys are regularly beating Betfair starting price and consequently they make steady and consistent profits. They also give a full analysis of every bet they give so you know exactly why they have made each bet.